Ye 93d Year of his Age. a reward for his past labour. It looks like this carver initially left the d off of "husband" — the comma suggests that he didn't intend to put it on another line and the size of the d is much smaller than the last two letters of "receive." 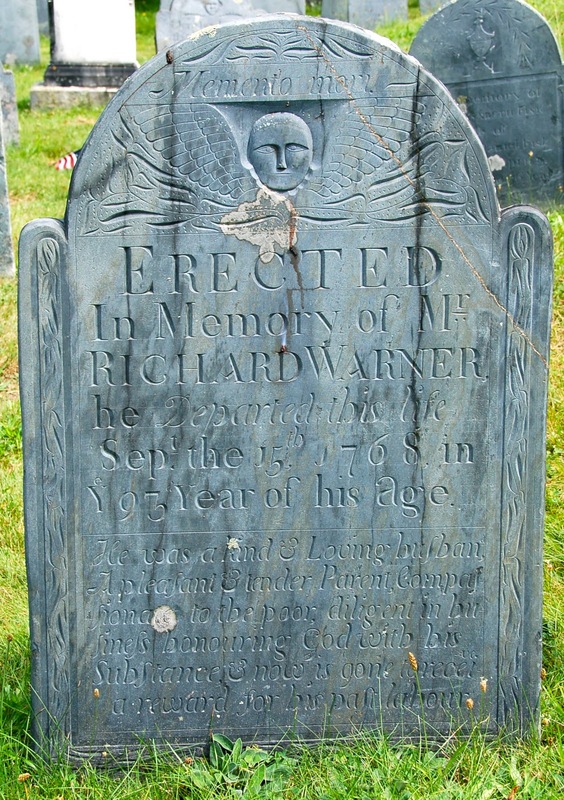 Dropped ds and ts are not uncommon in New England gravestones. Odd that "ERECTED" is the most prominent word yet also the most superfluous.